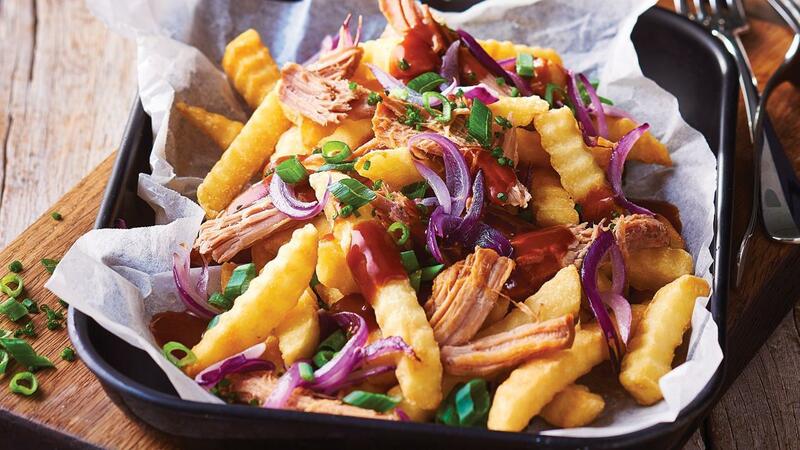 Turn crispy golden crinkle cut fries into a true American style meal by topping with slow roasted pulled pork and chipotle jus. Combine KNORR Jus with 500 ml warm water, bring to boil, add KNORR American Chipotle BBQ Sauce GFin a saucepan on low-mid temperature and simmer. Pour Chipotle Jus over fries, scatter pork and onions, then garnish with chives.